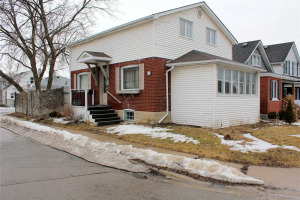 Fantastic 2 Brm 2 Bath Home Located In High Demand Area Of Oshawa! Main Flr Feats Updated Kitchen W/Skylight, S/S Apps, Granite Countertops & New Flring In O/C Living/Dining Rm. Entire Main Flr Has Been Updated W/Newer Light Fixtures, Fresh Paint W/New Trim & Laminate Flring. 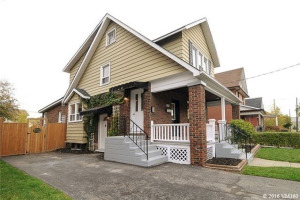 2nd Flr Feats 2 Good Sized Brms W/Newer Carpet & Updated 4Pc Bath. Newer Shingles, Front Porch, Outer Doors, A/C & Fully Fenced Bckyrd. 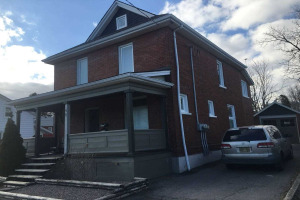 Walking Distance To Costco, Shops & Transit. Inclds Use Of All Appliances. Non-Smoker & No Pets Pls. Min 1 Yr Lease Required. First/Last Mnth's Rent Required. A+ Tenants Only! References, Employment Letter & Credit Check Required. 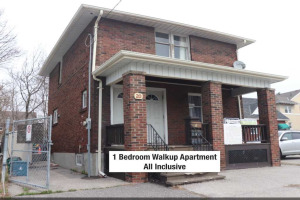 Rent Inclds Gas, Water & Hydro Utilities.